The Redmi series has been doing extremely well in the country and it is not so hard to see why. The series ships great hardware at minimum prices. In a price sensitive country like India, this aspect is key.. The Redmi 2 Prime was marketed as an entry-level smartphone, but its higher storage variants ended up having it perceived as a budget phone. The device was launched at a price tag of Rs 7,999 with some decent specs. Launched in August 2015, the Redmi is powered by a 1.2GHz quad-core processor from MediaTek and comes with 2GB of RAM. The device offers up to 16 GB of internal storage - and there is an option to expand it to 32 GB. The camera system on the phone happens to be the same as seen on the Redmi Note 2 smartphone. The Redmi 2 Prime runs on Android 4.4 and is powered by a 2200mAh removable battery. When you see today’s smartphones and see that Redmi 2 Prime still runs on Android 4.4 it’s safe to say that the phone’s life is over. The best you can do is sell it so that you can purchase a much better Redmi smartphone. Perhaps a Note 5? Cashify will be able to help you with that. 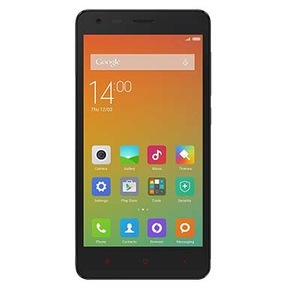 Why Sell Your Old Redmi 2 Prime On Cashify? Cashify offers you the best value for your old Redmi 2 Prime, or really any smartphone. This process is made easier as Cashify happens to be an exclusive partnership with India’s biggest smartphone makers such as Xiaomi, Samsung and Apple. How do you go about selling your phone on Cashify? Just head over to Cashify’s website and type in the model of your phone. Based on certain questions about the phone’s quality, display and more, Cashify will generate a price quote that will be the best in the industry. Cashify also ensures that your precious time isn’t wasted trying to travel to locate Cashify’s office. Cashify’s agents will deliver the resale cash right at your doorstep, without you having to step out of the comfort of your home. 2. Search for the Redmi 2 Prime, and share the condition of your device.